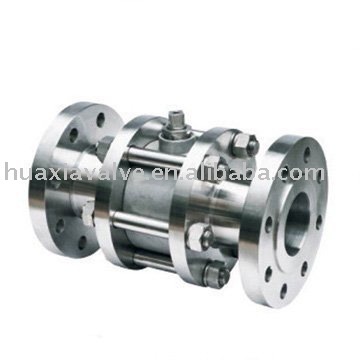 3 pc Body floating type flange end ball valve PN16 manufacturers,3 pc Body floating type flange end ball valve PN16 exporters,3 pc Body floating type flange end ball valve PN16 suppliers,3 pc Body floating type flange end ball valve PN16 OEM service. Material:WCB, WC6 WC9, LCB, CF8, CF3, CF8M, CF3M, CN7M, Monel and Hast,etc,. Dics and Stem: WCB, SS304, SS316, SS304L, SS316L, SS410, SS416 etc,. We have obtained certificates of CE,API6D,API607,TS and ISO9001.